4 October 2013 by . We greet you with great fraternal affection. In these years, you have followed us through the books, the conferences, the reflections and everything that we have published on this website. We are grateful to you; we have felt your prayers and your love for us. With our testimony, we wanted to lay out the pathway of faith that has been revealed to us, which can be summed up like this: to offer one’s life to Jesus through the Most Blessed Virgin; to be united with Him in the Holy Spirit by abandoning oneself confidently in the hands of the Father in order to live according to the laws of pure Spirit. We have explained to you how the whole universe will have to be recapitulated in Christ, and how the Trinitarian action seeks to recapitulate the whole creation in Christ in this time. We are now entering a new phase. In the evangelization of the universe by the brothers faithful to God this year the MIDDLE UNIVERSE has been involved, where undecided and individualistic humanities live. The brothers of the universe faithful to God have travelled, and are still travelling, the middle universe announcing to everyone the salvation wrought by Jesus and God’s plan to reunite all things in Him. The humanities of the middle universe will have to make a clear choice: either for Jesus Christ or against Him. After completing the middle universe, now begins the evangelization of the LOW UNIVERSE, where also the Earth is situated. At first, it begins in spirit: the Holy Spirit will enter the low universe through the extraordinary instruments of this time, who are united with all of paradise and purgatory, to prepare every person of good will, and enable him/her to decide for Jesus Christ. It will have to be a clear choice: either with God or with Lucifer; there will be no more possibility to remain undecided. The action of the extraordinary instruments within the spirit follows a precise order willed by God: the angels will be the first to pass; the next will be the Central Nucleus, who will pave the way for the future events; finally, the brothers of the universe faithful to God will enter physically the low universe to act upon matter by intervening where it is necessary and becoming visible at the time and in the manner foreseen by God. Hence, it will be a gradual process, whose duration will depend on the response of the people; however, it will not last endlessly because God has put a limit to the indecision of the people. The entire creation is waiting for the Christians of the Earth to join God’s action along with the extraordinary instruments. The Christians are called to be witnesses of the first coming of Jesus before the entire universe. Therefore, they are called to become aware of the power with which the Holy Spirit is engaging the universe in order to strengthen His People and thus reach every person of good will. As members of the Central Nucleus, we are both called to participate in the action foreseen for the two of us in this time. For this reason, we will withdraw from the public scene and enter the silence that God asks of us. This means that we will not talk to you as intensively and frequently as we did in these years; we will convey to you only what will be explicitly for you. We will dedicate ourselves to the spiritual action, which we have already mentioned. With our prayers and the offering of our life, we will continue to help those who sincerely believe in the revelations of God, which we have passed on to you, and who desire to participate in the work of recapitulating everything in Christ. Why this silence? First of all, the members of the Central Nucleus must now focus their energy towards where God sends them in spirit. Therefore, it is necessary for both of us to act in silence and not waste energy. Secondly, you too need to be in silence so that everyone of you may decide totally free and spiritually awakened how you want to serve God and the divine plan for this time. God is waiting for His people to direct their steps concretely towards the realization of His call. For this reason, it would be good if you organized yourselves in nuclei in the way we have explained to you: in a communion of love and service, with other brothers and sisters, you can strengthen your decision and become increasingly more credible witnesses of the presence and action of God in you, among you and through you. In this way, the people of God will be renewed and fully united with Jesus Christ in communion with all the good forces operating in the universe. Those among you, who sincerely and without any personal ambitions wish to take part actively in this path and in the initiatives to make it feasible, will always find helpful indications on this website. They can turn to the brothers and sisters of the nucleus “Luci dell’Esodo” (i.e. “Lights of the Exodus”), who have walked on this path and worked for this website for years in order to help you deepen your insight and to make real the path laid out by God. In addition to this, you can read and study the contents of the books, and what you have received in recent years, because the Lord has given us plenty of profound explanations. Perhaps you may wonder what is going to happen in the low universe and on Earth. 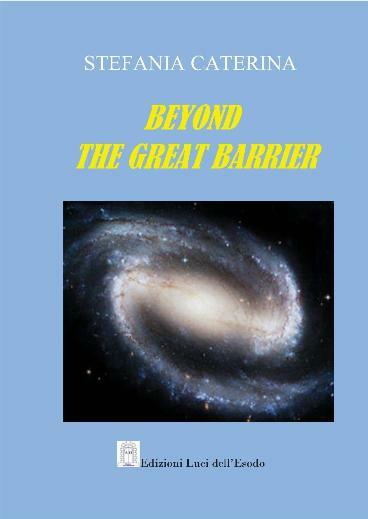 You will find many answers in the book “Beyond the Great Barrier” in chapter 15 published on the website. Here you will learn what God intends to do and what each of you should do. The chapter in question ends with the message of St. Michael the Archangel, the precursor of the second coming of Jesus and head of all armies of God who turns directly to the Church of Christ on Earth to call her back and invite her to give her response. He is the precursor of the second coming of Jesus and stands at the head of all the armies of God. By reading all this, you will receive clear and concrete indications on how to behave in this time. With the evangelization of the universe, the time, which immediately precedes the glorious coming of Christ, begins. All the people must be ready to welcome Him. St. Michael will gather the people and hand them over to Christ. We have explained to you that the people of God are the ordinary instruments, whom God has always used to realize His plans. In this period of human history, however, in the face of the enormous challenges, which await the children of God in the universe, God has prepared the extraordinary instruments to help His people. The angels, the Central Nucleus and the brothers of the universe faithful to God have the task to prepare the way for the people, to help them, to defend them against evil attacks. No one, neither a powerful man on Earth, nor the most charismatic man would be able to pursue alone the path, which unfolds before the entire universe. All are destined to join the extraordinary instruments provided by God. Those who reject these instruments remain in a dangerous and fruitless individualism, which will lead them to confusion and expose them to the action of the infernal forces. In fact, while God is in action, Lucifer and his followers are also actively preparing the coming of the Antichrist. You can imagine, and partly recognize already now, that the Earth, which is called to give its response to God, will experience huge tensions between good and evil. God will allow these tensions to reach the extreme limit in order to fully bring out the good forces and compel the evil forces to implode. Everyone will be tried. All selfishness will have to fall. All falsehood, on which the power and the false sense of security of the people of the Earth are based, will come to light. Even the powerful of the Earth will be examined one by one. The false spirituality, self-centred and individualistic, will be severely tested and will run the risk of being exposed to the strong influence of the evil forces. Nothing will remain standing without the universal communion, which necessarily passes through the communion with the extraordinary instruments. 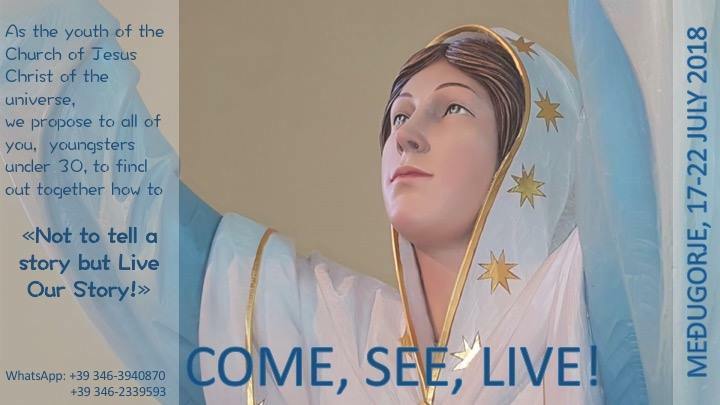 We urge you to keep in mind the three pillars we have referred to, which are the foundation of the kingdom of God: the offering of your life to Jesus through the Immaculate Heart of Mary, the immaculateness (that is, correctness and transparency before God) and the universal communion. In conclusion, we assure you of our prayers and the offering of our life for all of you as well as our continued blessing. In all these years, we have always tried to respond faithfully to God. We have never had the intention to attack or offend anyone; however, if we gave you this impression, we apologize. We encourage you to continue with perseverance. God will never leave you alone: ​​He will guide you on the right path, instruct you with His strong inner impulses and protect you. Do not fear! God will confirm all things according to the promises made by Jesus.